Facebook is one of the most powerful social media tool available to marketers at any level. Due to its immense following, Facebook is an ideal tool used by SMB to enhance their online exposure, drive traffic to their website or blog, and ultimately generate new leads and sales. It doesn’t matter if you're an experienced professional or a beginner, Facebook Ads can offer significant value to your online growth. To help with that process, we have compiled expert insigth as expressed by 26 authors to help you create effective Facebook Ads. Which Ad Objectives Are Right For My Campaign? The base for every campaign should be having a clear idea of your objectives. This article by Wright Creativity will help you find which Facebook Ad objectives are right for your campaign. If you need more information on choosing the “right” Facebook Ad objective, check out episode 110 of Rick Mulready’s podcast talking about just that. The podcast is available for download or its transcription can be read on his site. Because this is a quintessential step for setting up you campaign, Facebook themselves have formulated a guide to help make choosing the right advertising objective easier. Which Ad Types Should I Use? Once you have determined your campaign objectives, the next step is identify which ads work best to help you accomplish your goals. Lynn Pedotto of Strikesocial.com has created an insightful list of Facebook Ad types in order for you to better know and utilize your options. Choosing the right ad type based on your objectives may be a confusing and stressful process, especially for new users. Andrea Avahl’s article will definitely shed some light on this matter and help you make a more informed decision. Every business owner needs to know how to optimize their operations for mobile users. 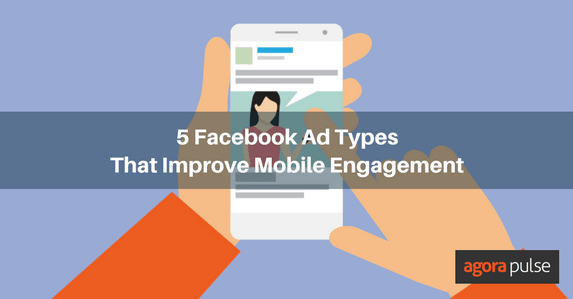 Here are 5 Facebook Ad types that will improve mobile engagement by Stefan Des. Learn how to maximize the impact of your chosen ad types. Spencer Lanoue presents the best ad specs for your images, videos, and copy. If you are looking for an all inclusive guide, 3QDigital brings you their 2017 comprehensive guide breaking down all ad types, where to use them, and how to optimize them for the best results. How Can I Target My Audience? As business owners, you're well aware that appropriate targeting is integral for a campaigns success. 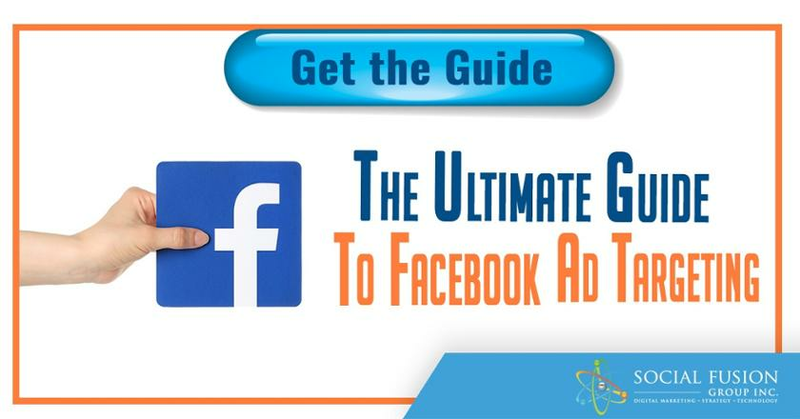 AdvertiseMint’s downloadable infographic provides a complete guide to Facebook Ad targeting. It doesn’t matter if you are an industry newcomer or a seasoned professional, we all make mistakes. Here are 12 Facebook Ad fails and fixes for better consumer targeting. Learn how to leverage Facebook’s ad targeting capabilities with the 10 best Facebook Ad targeting tips for your business. If you are a retailer, find out how Facebook Retargeting can add significant value to your business in this insightful guide by Tara Johnson. Have you ever considered the benefits of workplace targeting? 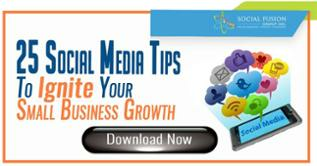 Find out how to target your Facebook Ads to certain business locations with this guide by socialmediaexaminer.com. As an SMB, you may be focusing on local marketing tactics to you’re your business. Here is a guide that will help you understand how to target customers in your local market. Did you hear about Facebook’s latest targeting change? Wersm.com provides you with their insight on the social platform’s most recent update, tackling discriminatory advertising practices. Proper targeting and ad type selection are ultimately made with lead generation in mind. AdEspresso brings you their comprehensive guide on how to synchronize your lead gen ads with custom audiences. Resource allocation is one of the most important managerial decisions when running a campaign. Educate yourself on the 7 factors that determine the cost of Facebook Ads by Bufferapp’s in depth guide. If you are looking for an extensive and thorough guide to gain a deep understanding on Facebook Ad costs, AdEspresso provides an ideal analysis making use of data pulled from all their users up until Q3 of 2016. If you are an SMB owner you may be worried that you lack the “ideal” budget to run a fruitful Facebook Ad campaign. Fitsmallbusiness.com brings you their take on how you can estimate and manage your advertising costs. Are There Any Additional Tips To Help Me Improve My Campaign? In order to run a successful ad campaign you will need to constantly monitor and manage every operation. 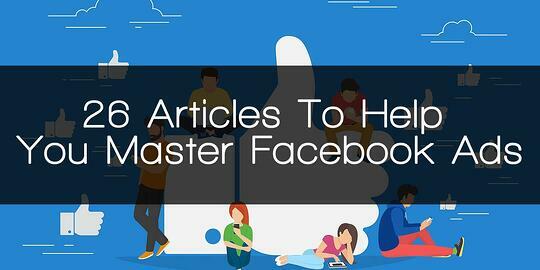 Here you can find the complete guide to utilizing Facebook Ads Manager. Have you been using Facebook Ads but seem to not be getting the results you expected? Here are 5 tips to help you improve on your advertising efforts. If you are running an ad campaign, it might be useful for you to get a sneak peak from inside an ad agency. AdvertiseMint shares the top 7 lessons they learned after spending millions on campaigns. If you are a complete novice and are wondering how you can create a successful ad campaign; short and sweet, here are 3 tips for creating better Facebook Ads in 2017. If you fancy a concise guidelines that can also act as a checklist, Tracey Wallace of business2community.com offers you a list of 24 Facebook advertising best practices for high performing ads. Hubspot is one of our go-to website for insight and analytics. Here you will find 10 Facebook advertising tips compiled from expert opinions. Finally, to wrap up everything on this list, here is a list of 7 do’s and 7 don’ts to follow while creating and managing your Facebook Ad campaign.